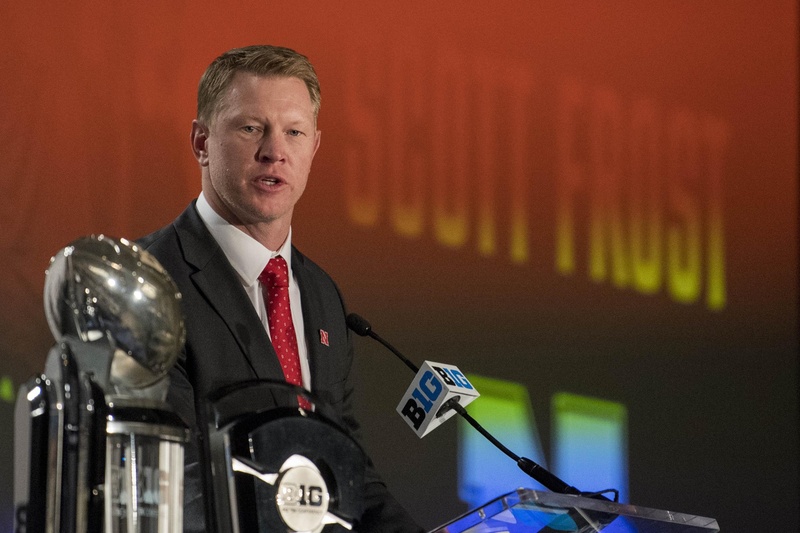 CHICAGO— Nebraska football will look to former quarterback and two-time national champion Scott Frost as the latest coach to restore the glory in Lincoln and Big Ten media days served as the first big stage on Monday. Frost inherits a squad that went 4-8 overall and 3-6 in the Big Ten last season will be a tall task for the first-year coach. Frost went through a more daunting rebuild in 2016 at Central Florida, by taking a team which went 0-12 in 2015 and performed one of the better turnarounds this decade in the FBS by going 12-0, which was highlighted by a 34-27 win over SEC West champion Auburn in the Peach Bowl on New Year’s Day. In order for a UCF-like rebuild at Nebraska, senior wide receiver and Big Ten preseason honoree Stanley Morgan Jr. will be counted on as a primary option. Morgan Jr. led all Husker receivers last season with 986 yards receiving and 10 touchdowns. Frost recognizes what Morgan Jr. can bring to the table this season. Despite the preseason accolades, Frost knows Morgan Jr. must earn his trust through his production on-field in order to become the face of Nebraska's program. In Monday's league press conference, commissioner Jim Delany believes Frost can help bridge the gap between the old and new generations of Cornhusker fans and bring new life to the program. “I think the fact that Scott played at Nebraska and has had an amazing series of successes as a young coach really breathes a lot of enthusiasm into the fan base, proven young coach, familiar with their history, and I think that probably has inspired their fan base now,” Delany said. Frost’s relationship with former Nebraska coach Tom Osborne goes back to his as a quarterback and has used him as source of inspiration when it comes to learning different techniques of coaching. With the move to the Big Ten conference in 2011, Nebraska has yet to find a consistent rival despite playing divisional foe Iowa to close each regular season in “The Heroes Game” on the Friday after Thanksgiving. Along with playing Colorado for the first time since 2010 on Sept. 8 in Lincoln, Neb., Frost looks to make rivalry games a center point as a gateway to success. Nebraska fans can only hope that the talk from Frost off the field can be matched by the on-field performance by the players this season.